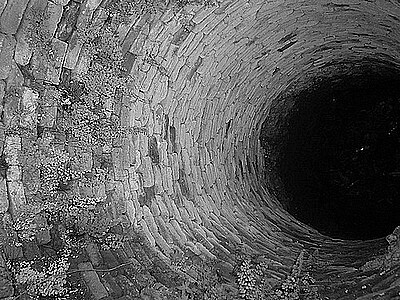 Once upon a time a well. A deep one, very deep, so deep, that you cannot see darkness, rather than light, because down there it has reached such shades that not even the mostly abused black could be enough to describe it. For the record, in the well there is now a poor two-year-old child. His life is hanging on a thread interwoven with the same substance which our perseverance in saving our neighbor is composed of. I refer to a special string of inestimable value, which we should take care of every day, as many men do with their cars. Following the banal metaphor, we should check the oil and the water, the tire pressure and the condition of the bodywork with inevitable punctuality. Because everyone, sooner or later, could be on the weakest rope’s end. So, I save you, who save me, who saves him, who saves her, who saves everyone, must be written on the rings of this allegorical chain of solidarity. Being the only species in the world who should be remembered every sunrise of being a species, and not a solitary individual to the detriment of all others, our problem is well we have neglected that hole as if it were normal. As if all the wells, which we are indifferent walk on, were ineluctable, simple whims of fate, or even something right. In other words, as if the voids of living were nothing but indispensable to the full ones. That’s incredible, don’t you agree? One could even start to think that the many poor people are a necessary evil, in order to guarantee the favorable life of the small amounts of rich. Above all, we should reflect on a detail that is anything but negligible: we built that well. Or we just forgot it behind us, chasing the usual golden carrot like masses of donkeys. In that well there is now a child who needs help, so, come on, bring him back to the light safe. However, much more has precipitated with him, without anyone caring. On the contrary, there are people who lead the world who at this very moment are boasting themselves about that. While down there, in the darkness that has shown with the facts how it could overcome further limitations of indecency and inhumanity, there is also the empathy for our fellow creatures. It fell down there also the ability to remember, which is not one of the many actions that we take for granted, how to feed if hunger demands it and sleep, when we have to. Because memory is like a box that grows with us in every moment of life, but it is as inert, alone. It takes the right time, the best calm and love for the past as well as for the future to open it and find the answers to the unanswered questions of the present. But more than anything else, down there, in spite of a deafening thud, we left our inclination towards indignation before injustice and arrogance. As if our ears had been infected by the same virus that hit our hearts, we didn’t even notice. Once upon a time a well, finally.